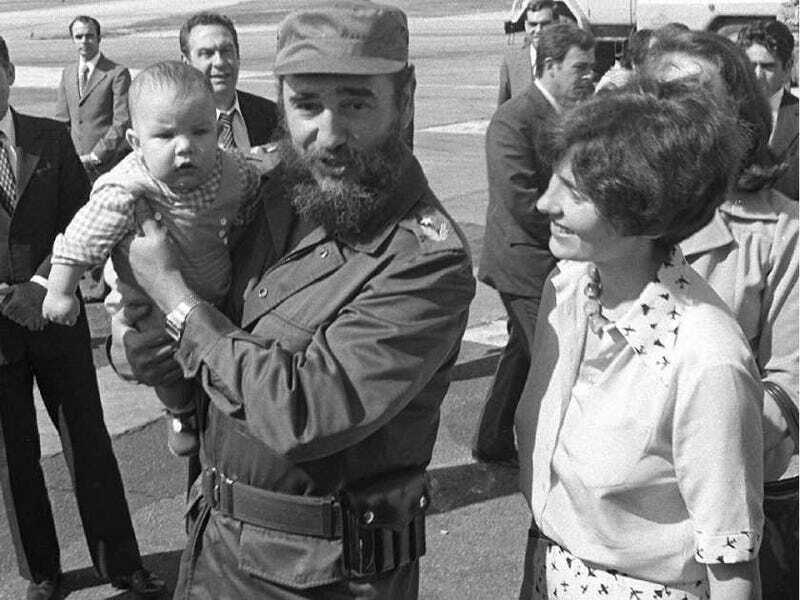 This photo of Fidel Castro holding a baby went viral back in 2015, when Justin Trudeau was first elected the Prime Minister of Canada. Numerous websites claimed that the baby was Justin Trudeau. And now that Castro has died, we’re seeing the photo spreading far and wide yet again. But that’s not Justin Trudeau. It’s actually his late brother Michel. The photo does indeed show the Trudeau family in Cuba back in January of 1976 when Pierre Trudeau, Justin’s father, was the Prime Minister. Unlike American presidents, Canadian leaders had a much warmer relationship with the late Cuban dictator. Michel Trudeau was just four months old at the time, and he died in 1998 during an avalanche while he was skiing in British Columbia. His brother Justin would’ve been 4 years old during the 1976 trip, though he’s not shown in any of the pictures from the family’s time in Havana. Justin Trudeau is currently getting some flak in Canadian and American media for calling Castro a “remarkable leader” on Saturday. Today, Trudeau backpedaled a bit, replying that he indeed thought Castro was a dictator after being asked directly about it. Yes, the Trudeau family had a much friendlier diplomatic relationship with Castro than any American leaders of the past 50 years, but that photo you’re seeing posted everywhere isn’t what so many people claim it to be.